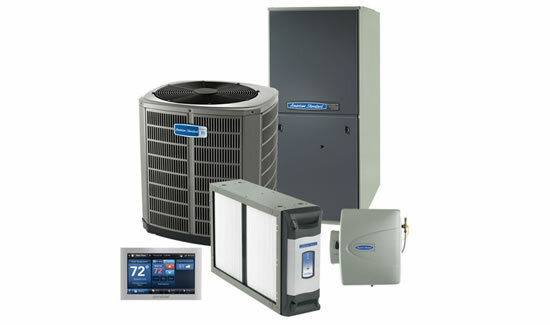 With The Plumbing Source teamed up with Staples Plumbing, Heating and Cooling, we began offering HVAC service to our growing list of services. Now, more than two years after joining forces with Staples, we find that heating and cooling is a constantly growing part of our business. Every year we offer a special discount on an air conditioning safety check. It’s not too late for you to get in on the savings: the cost is just $79. Soon we’ll be announcing our Fall Special on a brand new American Standard 95% high efficiency furnace. For years we’ve been telling our customers that one call does it all. That’s never been more true than it is today! We’re your one source for plumbing, heating, air conditioning, remodeling, drain cleaning and excavating services! 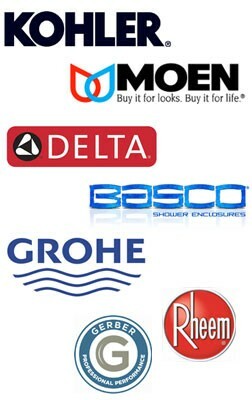 If you have any kind of problem that involves water, you’ll want to give us a call! We’ll dispatch one of our highly trained technicians to your home. We have a fleet of trucks equipped with GPS navigation, so no matter where you live, we could be just around the corner! When our truck arrives, you’ll be treated with complete honesty and courtesy, and we’ll even clean up after ourselves to make sure we leave your home clean and neat. Our HVAC service will warm your heart and home and go easy on your wallet! We’ll even leave you a magnet with all of our contact information, so our phone number will always be at hand. Call today to schedule your air conditioning or furnace check up. Call 330-626-1676.